UTAR tops the winning chart once again when six teams from Faculty of Information and Communication Technology (FICT) and Faculty of Business and Finance (FBF) secured top ten places at the MonsoonSIM Enterprise Resource Management Competition (MERMC) 2018. The competition was held on 18 August 2018 at Asia Pacific University (APU), Kuala Lumpur. They were accompanied by FICT Deputy Dean for Student Development and Industrial Training Dr Choo Peng Yin. MERMC 2018 is a competition that is based on MonsoonSIM, an SAP-endorsed Experiential Learning Platform developed to help students learn Enterprise Business Processes, involving Integrated Enterprise Resource Planning (ERP) concepts by performing various business transactions, and how those transactional activities serve to increase their level of understanding in doing business. 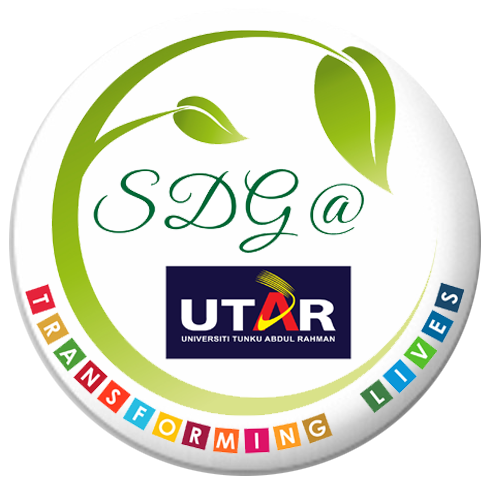 The objectives are to encourage graduating students to embrace business process learning; to promote the concept of experiential learning via ERP game platform; to incubate future ERP talents; and to expose Y Generation to education by gamification. The competition also includes 12 core business modules, namely Finance, Purchasing, Retail, Wholesale, Production, MRP, Forecasting, Maintenance, Human Resource and Customer Service. Themed ‘Human vs Robot’, this year’s competition was a robotic challenge in Business Process Simulation Competition involving virtual companies formed by participants to compete against other teams and robots. Participants were tested on how to run a successful business with limited resources; what concepts are involved in managing a large business; how to adapt to changing business environments; and what is an ERP system and how to help their businesses. The teams were judged based on team strategy and execution; teams’ abilities to respond to judges’ questions; teams’ abilities to handle crisis and Human Resource issues; and teams’ leadership and coordination skills to run a company. 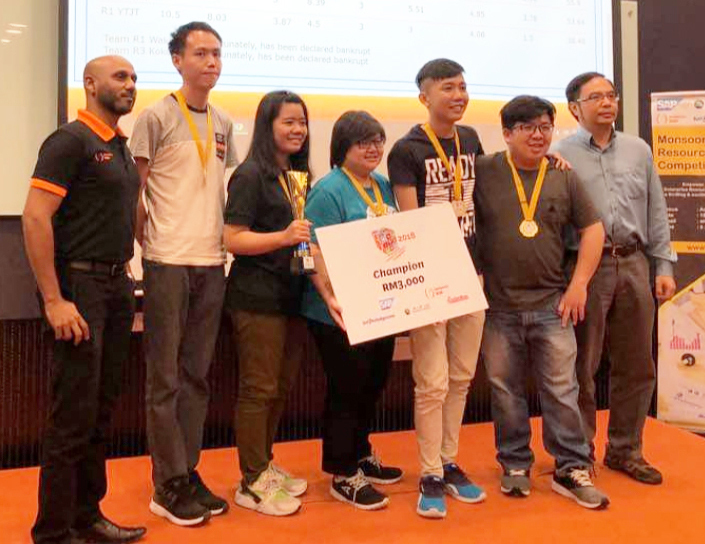 The six teams won champion, second place, third place, fifth place, eighth place and ninth place; defeating other 20 teams from APU, Monash University Malaysia, Syuen College, DRB-HICOM University of Automotive Malaysia, Universiti Teknologi Malaysia (UTM), Universiti Utara Malaysia (UUM) and Politeknik Nilai. 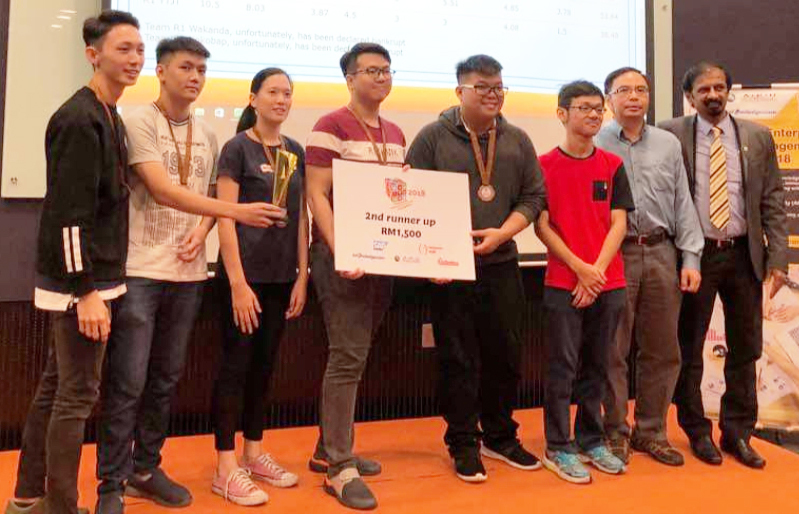 Reigning champion was team Javaman, comprising of five members, namely Bachelor of Information Systems (Hons) Business Information Systems students Loo Wei Jing, Chin Kah Men, Chua Wei Jie, Chew Zhi Shian and Wong Wai Man, who won a cash prize of RM3,000, a trophy and a medal for each member. The team attributed their win to UTAR and their lecturers for providing them essential knowledge on business process, business flow and business analysis, which has helped them understand the simulation better. The team also highlighted the importance of teamwork and hardwork when participating in a competition. “Although the competition involved only virtual companies, teamwork, mutual understanding and team coordination were still very much relevant in determining our success. Without these elements, we would not be able to run our virtual company successfully,” said the members of Javaman. Winning second place, along with RM2,000, a trophy and a medal for each member, was team JSlient. The team was comprised of five Bachelor of Information Systems (Hons) Business Information Systems students, namely Chong Jui Shan, Liew Xin Wen, Chew Yie Jun, Lim Kit Yee and Lee Jun Nam. “It is an honour for our team to win the second place. We are thankful to UTAR for providing us the platform to learn the basic knowledge about business process and ERP which have helped us in applying that knowledge for the game’s strategy. We are also grateful to Dr Choo for providing the team this opportunity to participate in this competition. We worked hard and trained hard for every MonsoonSIM training sessions and finally we managed to enter the final round of the competition. As a member of JSlient, I feel proud and I am thankful to my teammates. I hope we will be able to do better in the coming regional competition in Singapore,” said Liew. “I thank my teammates for the good teamwork and communication, which were essential throughout the process of winning the competition. I learnt a lot from the competition and I gained a better understanding on business processes and practices of the real world. Therefore, to be able to advance to the regional competition is a very happy and exciting thing for the team because we have proven our capabilities,” said Chong. Team MicFs, who won third place, RM1,500 cash prize, a trophy and medal for each member, was comprised of Bachelor of Business Administration (Hons) student Yap Jin Yong, Bachelor of Computer Science (Hons) student Tan Mun Keng and Bachelor of Information Systems (Hons) Information Systems Engineering students Jeffrey Cheah, Yeah Zi Hao and Lim Yan Yee. “We were surprised to be announced as the third winner. We feel very honoured and will use this win as an opportunity to improve further, especially for our regional competition in Singapore. What matters the most is not the result, but knowing that we have faced those challenges with a gratitude mindset. Therefore we are thankful to our lecturer Dr Choo and UTAR, for equipping us with the knowledge that our team needed to win. Although third place, but we enjoyed this modern way of learning and for some of us, it has become a stepping stone to be a successful entrepreneur,” said Jin Yong. Other winning teams from UTAR were GLHF who won the fifth place, Wakanda who won the eighth place and Kokobap who won the ninth place. Team GHLF was comprised of Bachelor of Information Systems (Hons) Business Information Systems students Kee Jin Hao, Goh Wan Hui, Soon Wai Thok, Yap Chung Seng and Thong Sherly. Team Kokobap was comprised of Business Information Systems students Chee Chi Kian, Lau Hooi Fen, Lai Zhi En, Lim Wen Yi and Wong Jai Lynn. 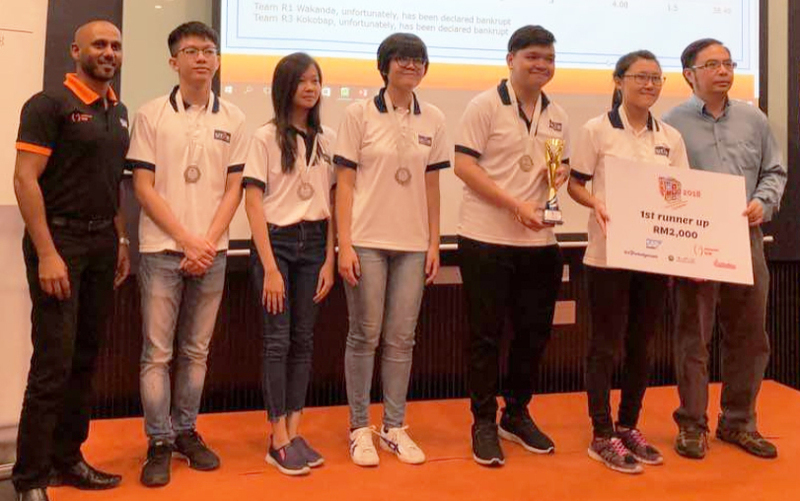 Team Wakanda was comprised of Business Information Systems student Hor Yee Hong and Bachelor of Information Technology (Hons) Communications and Networking students Kok Meng Heng, Leong Chow Cheng, Low Chun Fai and Revathy Thamotharan. The five teams from UTAR will be representing Malaysia to compete in the ASEAN (Regional) level competition at Singapore University of Social Sciences (SUSS) from 21 to 22 September 2018, along with two teams from UTM and one team from Monash University. MonsoonSIM Enterprise Resource Management Competition is an annual inter-varsity competition hosted by MonsoonSIM and its partners. The competition is a high-energy event involving students and lecturers with the objective of exposing students to the concept of enterprise resource management (ERM) through fun and exciting simulation games. It is designed to encourage students to learn and appreciate ERP, or Enterprise Resources planning, in innovative learning-by-doing ways.